The Charlotte Hornets, Orlando Magic and Chicago Bulls are reportedly on their way to finalizing a three-way trade. According to ESPN'S Adrian Wojnarowski, center Timofey Mozgov would be sent from Charlotte to Orlando while Bismack Biyombo would go from Orlando to Charlotte, Jerian Grant goes to Orlando from Chicago and Julyan Stone would go from Charlotte to Chicago. All told, the Magic will acquire Mozgov and Grant, the Hornets will acquire Biyombo and the Bulls will acquire Stone. This is the second time this offseason that Mozgov will be on the move. Mozgov was involved in a trade the sent center Dwight Howard to the Brooklyn Nets. With Nikola Vucevic and rookie Mohamed Bamba already on the roster, there is no telling where the minutes will come from for Mozgov. 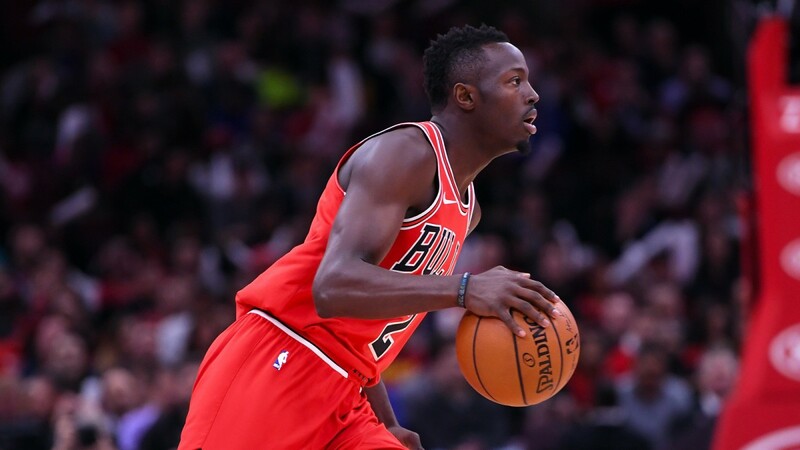 The big win for Orlando comes in the form of point guard Jerian Grant. With D.J. Augustin listed as the only point guard on the roster, the Magic needed to find someone to help fill the need. Grant averaged 7.2 points, 2.1 rebounds and 3.4 assists in two years in Chicago. When the Magic draft Bamba, Biyombo was the odd man out. Luckily for him, he will be returning to a place he is very familiar with. Biyombo was drafted seventh overall by the Sacramento Kings in the 2011 NBA Draft. However, his rights would be sent to the Charlotte Bobcats (would rebrand as the Hornets). 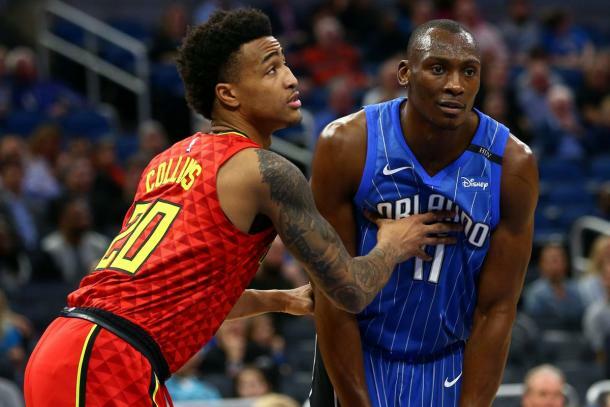 After four seasons, Biyombo would have a two-year stint with the Toronto Raptors before settling in Orlando. In four seasons in Charlotte, Biyombo averaged 4.4 points, 6.1 rebounds and 1.6 blocks per game. In his lone season with Orlando, he averaged 5.5 points, 8.0 rebounds and 1.6 blocks per game. 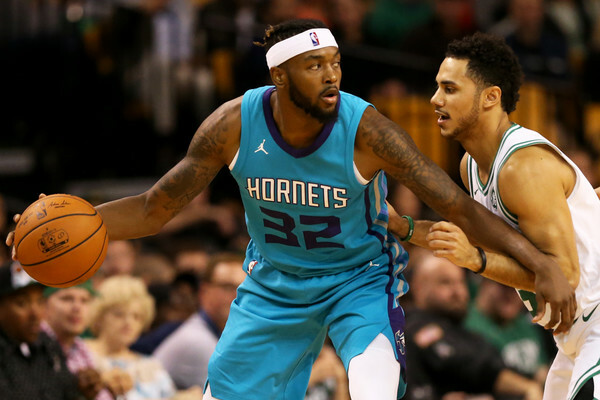 Julyan Stone has had quite the journey in professional basketball. In 2011, he went undrafted in the 2011 NBA Draft. In December of 2011, Stone singed a two-year deal with the Denver Nuggets. Following stints with the Nuggets and trips to the NBA Development League, Stone would sign with the Toronto Raptors in September of 2013. On July 7, 2014, he would be waived by the Raptors. From 2014 to 2017, Stone would spend time in Italy in the Lega Basket Serie A as a member of the Reyer Venezia and Royal Halı Gaziantep of the Turkish Basketball Super League. During the 2017-18 season, Stone would make his return to the NBA. During his lone season with the Hornets, Stone averaged .8 points, 1.3 rebounds and 1.1 assists in 23 games.